Budget 2018 has been kinder to senior citizens, in order to allow them a "dignified life". To begin with, tax exemption of interest income from bank deposits has been raised to Rs 50,000 from the current Rs 10,000. Budget 2018 is over and the verdict is out. While Indians were expecting major relief by way of new tax slabs, lower tax rates and hiked up allowances, Finance Minister Arun Jaitley's focus on the gareeb nagrik and the agriculture sector has translated to disappointment on these fronts. In his ongoing Budget speech Jaitley said "We do not propose any changes in personal income tax structure." However, as a small concession, he has announced a standard deduction of Rs 40,000 for salaried taxpayers. This will be in lieu of the existing transport allowance and medical expense reimbursement. However, other medical reimbursements in case of hospitalisation will continue. According to him, standard deduction was reintroduced to address the valid perception-backed by data on taxes coughed up-that businessmen had it better than the salaried class. According to him, the existing allowances amount to Rs 30,000 so the actual tax benefit here on would be Rs 10,000 more for each taxpayer. This move is expected to benefit 2.5 crore taxpayers and reduce paperwork along the way. The revenue cost of this concession is pegged at Rs 8,000 crore. Budget 2018 has been kinder to senior citizens, in order to allow them a "dignified life". To begin with, tax exemption of interest income from bank deposits has been raised to Rs 50,000 from the current Rs 10,000. He has also proposed to raise the deduction under health insurance premium under Section 80D of the Income Tax Act to Rs 50,000 (from Rs 30,000 currently). In case of senior citizens with critical illnesses the deduction will be Rs 1 lakh. Moreover, Fixed Deposit/Post office interest to be exempt till Rs 50,000. The corporate sector, which has been hoping for an across the board cut in corporate tax rate to 25%, has also been left disappointed. 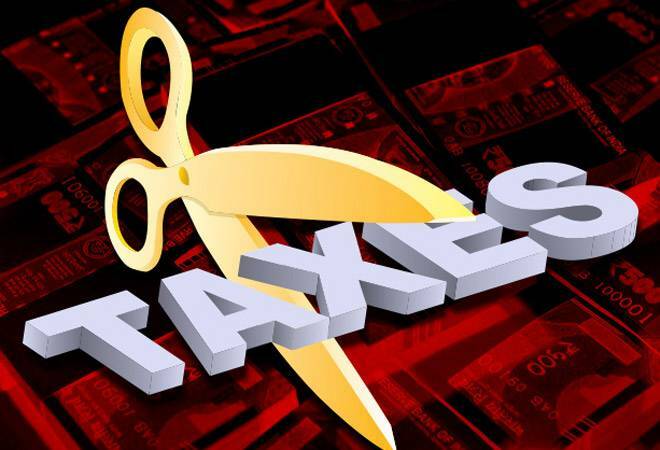 Jaitley has announced that only companies with a turnover of up to Rs 250 crore will now be taxed at 25%. According to him, this move will benefit 99% of companies and the revenue foregone is pegged at Rs 7,000 crore in 2018-19. Claiming that the total amount of exempted capital gains has surged to nearly Rs 360,000 crore, and that the return on equity is already high, the FM proposed to tax capital gains exceeding Rs 1 lakh at 10%. The reaction to this can already be seen in the stock market-the Sensex has dipped marginally as a knee-jerk reaction. There is a general perception in the society that individual business persons have better income as compared to salaried class. However, income tax data analysis suggests that major portion of personal income-tax collection comes from the salaried class. For assessment year 2016-17, 1.89 crore salaried individuals have filed their returns and have paid total tax of Rs1.44 lakh crores which works out to average tax payment of Rs76,306/- per individual salaried taxpayer. As against this, 1.88 crores individual business taxpayers including professionals, who filed their returns for the same assessment year paid total tax of Rs48,000 crores which works out to an average tax payment of Rs25,753/- per individual business taxpayer. In order to provide relief to salaried taxpayers, I propose to allow a standard deduction of Rs40,000/- in lieu of the present exemption in respect of transport allowance and reimbursement of miscellaneous medical expenses. However, the transport allowance at enhanced rate shall continue to be available to differently-abled persons. Also other medical reimbursement benefits in case of hospitalization etc., for all employees shall continue. Apart from reducing paper work and compliance, this will help middle class employees even more in terms of reduction in their tax liability. This decision to allow standard deduction shall significantly benefit the pensioners also, who normally do not enjoy any allowance on account of transport and medical expenses. The revenue cost of this decision is approximately Rs8,000 crores. The total number of salaried employees and pensioners who will benefit from this decision is around 2.5 crores. Budget 2018: Will medical reimbursement limit be increased?